The home side made the better start - dominating the possession side of the game - however were unable to materialize anything as two of best chance inside 20 minutes came when Ross Barkley fired over the crossbar and Romelu Lukaku's low, powerful strike was easily handled by Steve Mandanda. 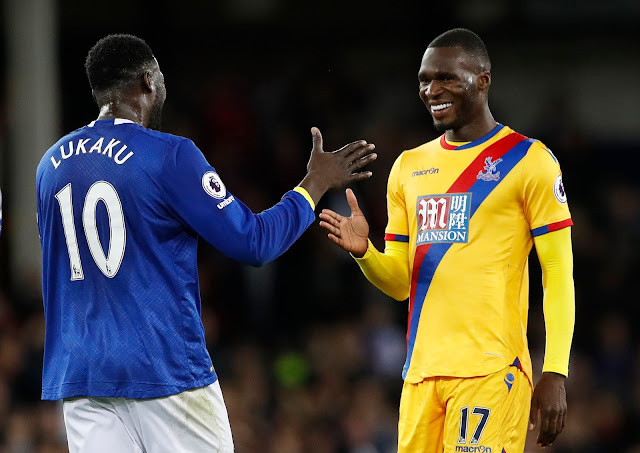 Ronald Koeman's team certainly shaded the match, but merely, as Palace's attacking trio of Zaha, Puncheon and Townsend enjoyed success at the Toffees' back line, but Christian Benteke was to remain in the dark until a clear opportunity presented itself. Proceedings began to take a turn of real competitiveness, as promising chances began to open up. Barkley's free-kick was cleared off the line, Seamus Coleman struck wide of goal following a corner and the reliable was on hand to clear a dangerous Palace corner, subsequent to a Stekelenburg's meaningless failed attempt at claiming the ball in the box waved off due to a foul on the Everton goalkeeper. Moments later, the deadlock was broken in spectacularly style. The Crystal Palace camp were soon pointing all the blame towards Damien Delaney as he stuck a dangerous leg at Jagielka and conceded a free-kick on the edge of the area. Up stepped Romelu Lukaku and, with sublime accuracy and brute power, whipped a delightful effort over the wall and straight past the helpless Mandanda who didn't stand a chance of keeping it out. Everton had one more chance in the half through Jagielka's header off a Ross Barkley corner, however at the interval a valid argument would suggest Ronald Koeman's side were deservedly ahead. They were more dangerous in attack and, as it seemed, had better cohesion between their forward players. Lukaku landed the killer blow as half-time was approaching, but Christian Benteke soon levelled the score on 49 minutes in what can only be described as his trademark style. The towering Belgian climbed above full-back Seamus Coleman to meet Ward's delivery and plant a powerful, pinpoint header past and out of the clutches of Stekelenburg into the far corner of the net. He has found his level, found his club, and found his form again. Benteke's stunner was subsequent to two terrific chances on either half. The first fell to Idrissa Gueye who fired a shot straight at Martin Kelly following Bolasie's tidy work down the left, before Palace had a goal ruled out as Damien Delaney headed home from the corner but Tomkins' run in behind caused the officials to call for an offside. In an exciting ending to a highly-competitive match, more chances presented themselves as players tired and the game opened up. Gareth Barry's glancing header was cleared off the line by Puncheon, while Puncheon's free-kick minutes later caused utter chaos in the box before Stekelenburg was on hand to punch the ball away and clear the danger. Palace romped up the field in pursuit of the winner yet, while earning four corners in the process, failed to convert any as Delaney's effort is blocked and Tomkins fired a header straight at the 'keeper. As they seeked a late winner at Goodison, the hosts made changes late in the game. Ross Barkley went off for Kevin Mirallas while Funes Mori replaced Oviedo. 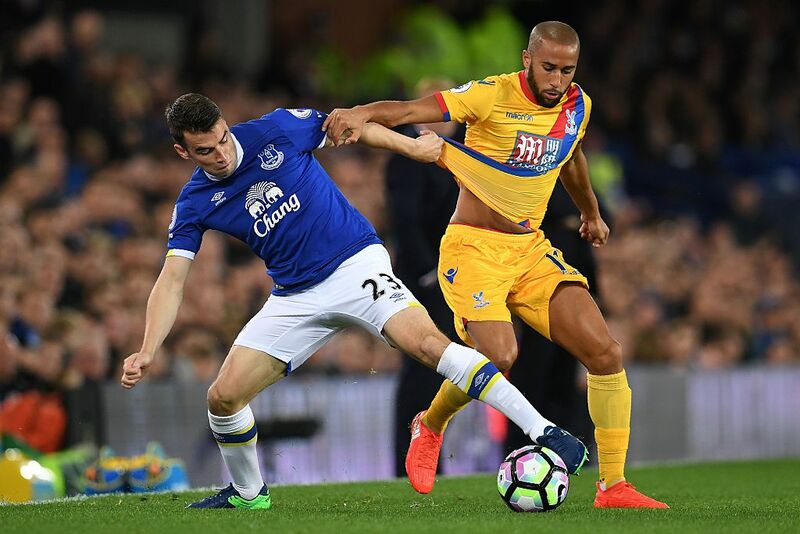 Both failed to change the landscape of the game, though, as Romelu Lukaku's weak shot was Everton's final attacking act and Palace had no numbers forward to support Christian Benteke who showed a glimpse of danger in the late stages but was unable to forge a significant piece of play together. 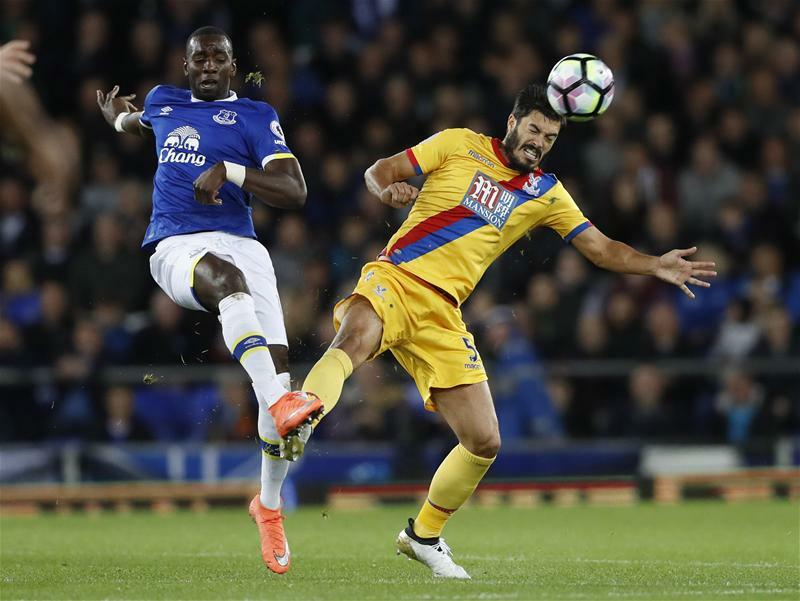 In a match of competitiveness, ruled out goals and a stalemate of the Belgian strikers, Everton and Crystal Palace left for the international break with a point-apiece.